Water and Power Development Authority (WAPDA) has provided a feasibility study of 15 dams in the four provinces of Pakistan. 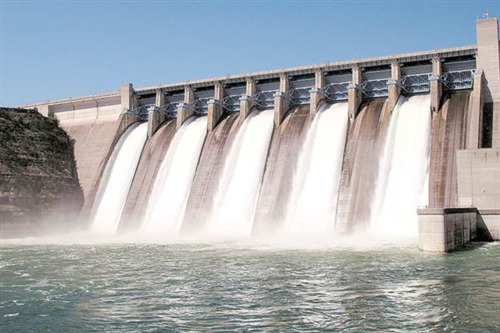 The government has collected all the information about the construction of dams. Pakistan is suffering highly from the shortage of water. The population has grown very much and the sources are limited. The present dams are not enough to cater to the water needs of a large number of people. Almost 80% water every year go unsafe. If important steps would not be taken in the present time, Pakistan will be out of water completely. It is a very serious problem and that is why the government and other concerned authorities have taken important decisions about dam construction. Akhri Dam, Chinioti Dam, Papan Dam and Kabir Dam are constructed included in the planned 15 dams. The locations of them are also decided. One will be developed in Sindh, four in Punjab, Six in Balochistan and four in Khyber-Pakhtunkhwa. Through these dams, a large quantity of water can be preserved. Chiniot dam will be established on Chenab River, Papan Dam in Rawalpindi, Kabir Dam in Kabir Nala which is in Talagang. Naulong Dam will be constructed in Balochistan province on Mula River, Hingol Dam on Hangol River and Pilar Dam in Arawan. The Mohmand Dam will be developed on Swat River while Nau Gaj Dam in Sindh district Dadu. The construction of these dams is the only way to tackle out all the water challenges of future.